When thinking about Kihon Happo, I feel I must start from the time, over 23 years ago when I was allowed to become a student. 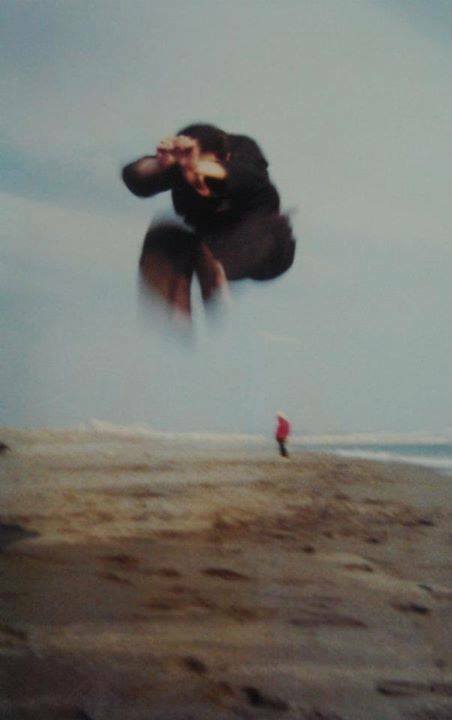 At the time I was a 17 year old high school student, with a strong interest in Judo, Kendo, Karate, Aikido and Shorinji Kempo. I was training in each of them. One day I dislocated my shoulder in Judo and went toSoke’s seikotsu clinic for treatment. That’s how it all started. The training hall at that time was a small room with a plank floor. Whether hot or cold, we would all train together there as friends. There were day’s when someone would stomp through a plank in the floor and we would all stop to repair it before continuing. 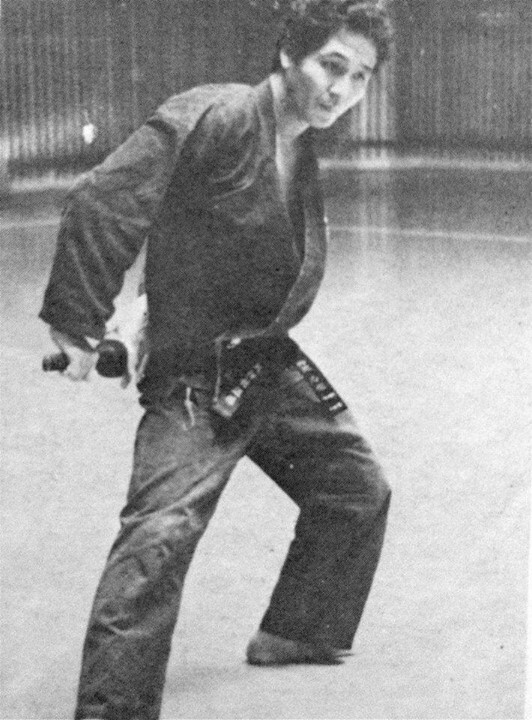 From the senior students I learned Ichimonji no Kamae, Hicho no Kamae, Jumonji no Kamae and strange strikes and kicks and blocks that I had never seen before, and which I did not really understand. After some months I learned that these new techniques were Kihon Happo. How I wanted to learn some techniques, but Soke and the senior students applied blocks to me and threw me through the air. They made my body learn ukemi naturally, so my ukemi gradually became better – totally different from those in Aikido or Judo. So I could take my falls without pain on planks, concreate or gravel. 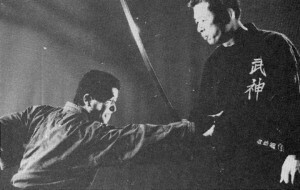 Soke talked to us about Budo both during and after training. Time and time again he told us ‘Ninjutsu is Taijutsu. 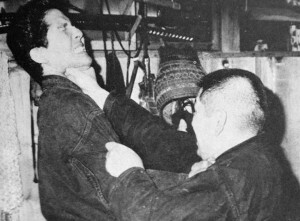 Taijutsu begins with Kihon Happo and ends with Kihon Happo. If you get stuck for techniques, go back and redo Kihon Happo.’The most essential thing required of a martial artist is to have a Kokoro “heart” that is like the warm beautiful heart of a flower in peace and harmony, or alternatively the warm, beautiful heart of a flower with the upright, flexible character of a bamboo.I was young and often thought ‘Oh no not again,’ but as though reading my mind Soke would say, ‘Takamatsu Sensei used to tell me all of these things in the same way, and I would think ‘Uh oh, here he goes again !’, but later the fact that those words are really important pierced it’s way deep into my chest.’ Hearing these words, I felt them pierce my chest deeply too. As timed passed, I sweated through the training, always’s cradled by Soke’s warm heart and got to teach those below me the basic Kihon Happo., like “Te Hodoki” untying the hands, in just the same way as I had been taught in my time. When considering how each of the techniques had been passed down this way for over 900 years, I could but wonder at the mystery of living Martial Arts.Eventually I came to have a dojo of my own, and students of my own and realised more and more how heavy a responsibility I held for my own basics. 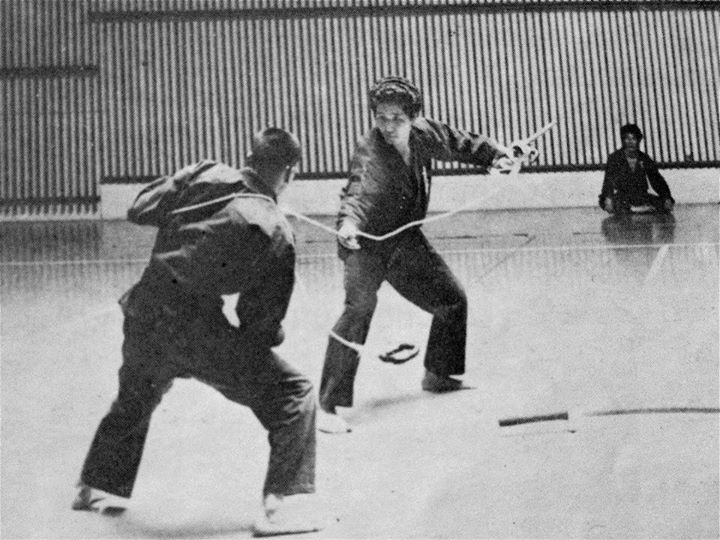 As you are all aware, many students came from abroad to train in the martial arts, but somehow the techniques lacked ‘bite’, and I realised this must be because they had not truly mastered the basics. I really sensed a need for everyone to learn from the Shihan how each individual movement of the Kihon Happo gets linked into techniques, and then into Taijutsu, to build a stable form of movement with roots firmly implanted into the earth, combined with sharp biting branches. 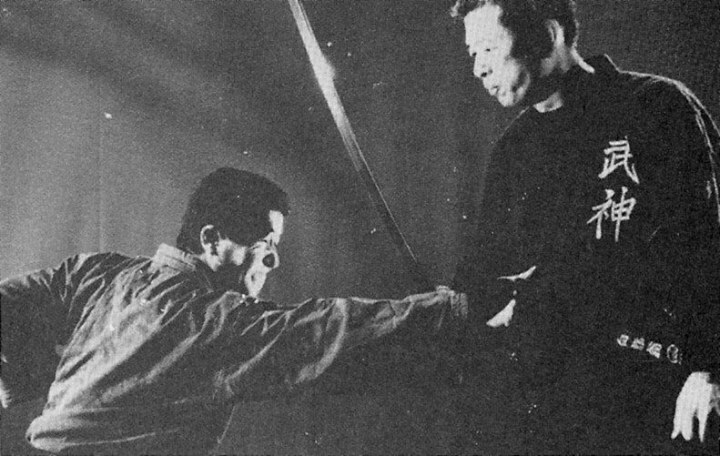 Soke is a genius – as a painter, as an actor, and of course as a martial artist. His movements do not stop at where onlookers see them stop. The techniques flow on and on boundlessly, and so whenever you train yourself, copying the movements of this great flowing river, please watch Soke’s toes, fingertips, torso – in fact watch his whole body. He uses all of the Kihon Happo I have just metioned. If you just try to copy the flow of techniques without seeing this, your techniques will have no ‘bite’.When a baby starts to walk, he often falls over probably because of the unbalence between his head’s weight and the muscles of his body. The martial arts are the same. Just as a parent stretches out a helping hand to a baby, senior students stretch out to help their juniors, and both help and love each other. Love produces new things, raises new life. It is said that Taijustu gives birth to miracles. And the first step of Taijutsu is Kihon Happo! As it was transmitted from Takamatsu Sensei to Hatsumi Sensei, and from Hatsumi Sensei to the Shidoshi throughout the world, with heavy responsibility to bring about world peace and help people to lead enjoyable lives. This responsibility may be heavy, but I feel it is also somehow enjoyable in itself. How about you? 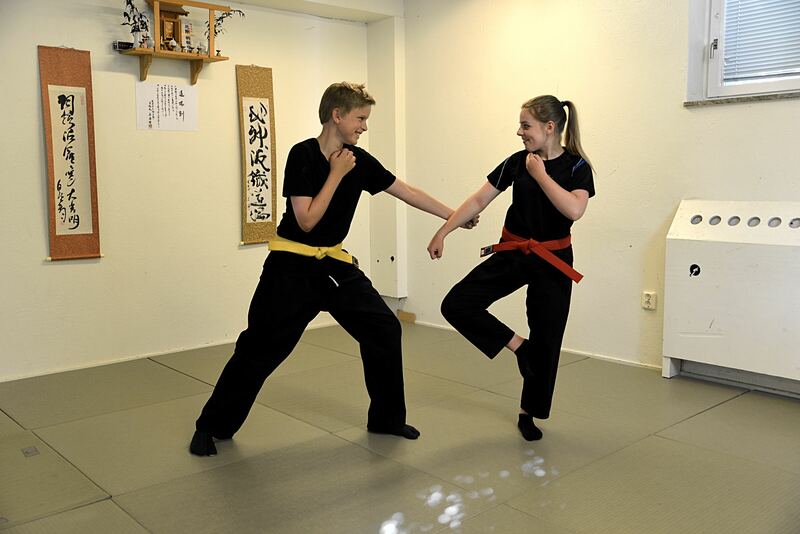 Hela inlägget är taget från Facebook och Bujinkan Shugyō Dōjō 武神館修行道場 inlägg.